GUGU – meaning ‘an object of affection, something to be treasured, something to be adorned’, is the creation of South African entrepreneur Gugu Nkabinde. 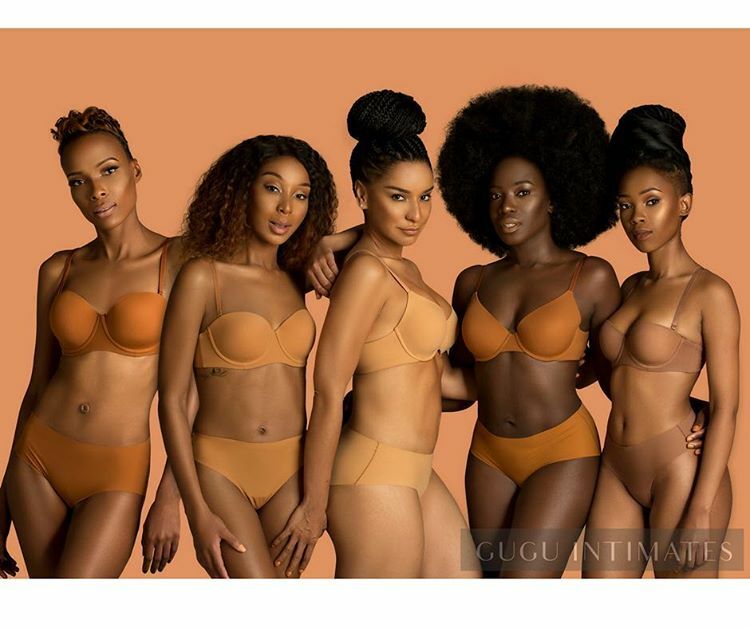 Following on from a career in marketing and advertising, Nkabinde launched the brand in 2017 and aims to be Africa’s largest, fastest growing and best quality skin colored underwear brand. There are currently 5 colours available from Gugu Intimates – Elewa, Amara, Buhle, Zuri and Runako (inspired by diverse African/Arabic names). Sizing is fairly standard (underwear is small to extra-large in a seamless brief or thong), and bras are 32A to 38D. Gugu Intimates is currently in pre-order stage where full sets are available for R990 (approximately $75USD).